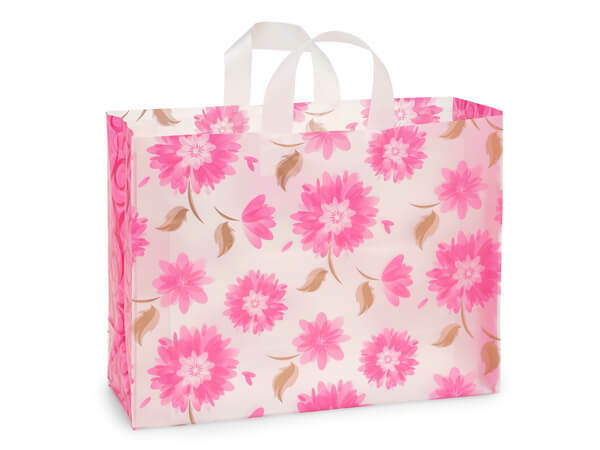 Gilded Plastic Bags coordinate with our popular design Gildend Blooms Shopping Bags. Plastic gift bags are 3 mil plastic with 6 mil clear handles and cardboard insert. Beautiful hot pink flowers with metallic gold ink petals. Swirls are printed on the sides of the bags.